In our Youth Ministry, Middle Schoolers (6th-8th grade) and High Schoolers (9th-12th grade) find a place to engage their faith in the company of friends and the comfort of a family of faith. On Sunday mornings, both Middle and High Schoolers engage Holy Scripture and see how it relates to the lives of youth. This is a time of prayer, study, and fellowship. Something for breakfast can usually be found, and the conversations are fun for the heart and deep for the soul. On Wednesday evenings, we have “Middle of the Week,” a mid-week gathering of fellowship, prayer, and engagement with our world. We engage our faith through fellowship, Bible study, and missions. Also on Wednesday evenings, we have our jubilate! Youth Choir who enjoy learning music and preparing to lead our congregation in worship throughout the year. Missions is an integral part of our Youth Ministry. 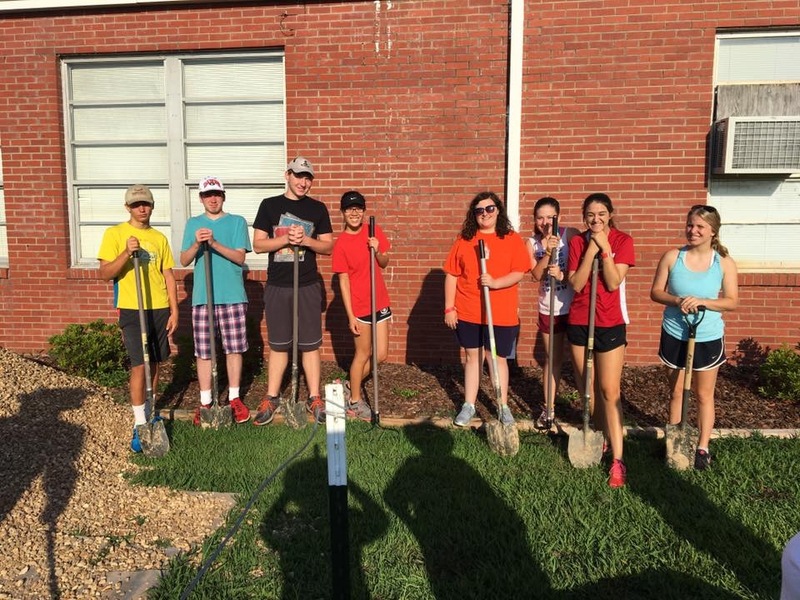 Throughout the year, our students put their faith to work in our Crisis Closet, at Macon Outreach, at Daybreak, with Habitat for Humanity, and various places around Macon. In the summer, both Middle and High School groups have separate mission experiences that deepen engagement with our world for God and strengthen friendships. In the past we’ve served in Americus, GA (at historic Koinonia Farms), Arlington, TX (at Mission Arlington), Atlanta (at the Andrew P. Stewart Center), Charleston, SC (at Metanoia Ministries), Jackson, MS (Northminster Baptist Church and Habitat for Humanity in Jackson), Macon, GA (Habitat for Humanity) Miami, FL (Touching Miami With Love) Pearlington, MS (for Hurricane Katrina recovery), and Washington D.C. (Advocacy Tour of Washington).